You see, the race is run in honor of the memories of Gwen Tyrie and Andy Palmer . All proceeds benefit both the area media centers and the Zap Fitness Foundation . This year, Valle Crucis Elementary will reap the rewards of the race and purchase new books for the library. "We will place name plates within each book with Gwen's name," said Eberle. This race is not about competition or personal records for Eberle. It runs much deeper than that. Before Eberle became principal of Valle Crucis he worked with Gwen at Blowing Rock Elementary as a 3rd grade teacher. "She was the most special teacher," said Eberle. 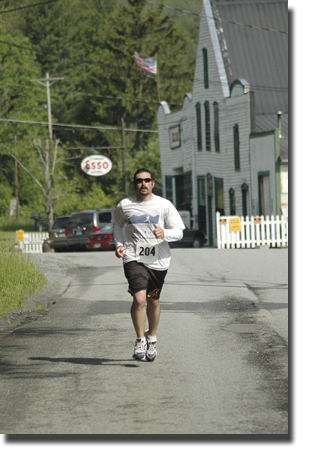 The first time Eberle ever ran a 5k was at the inaugural run held in May 2002 after the tragic death of Gwen. "I weighed over 225 lbs and wasn't in shape," said Eberle as he invited me into his office to view his before and after photos. The slimmed down man now runs daily and thoughts of Gwen often run through his mind as well. "When I run, I am able to sort through problems and the business of my day, but this run today is special because everything is coming together in a circle. I am principal at Valle Crucis school which is hosting a benefit run in Gwen's memory that will benefit the school I am at," said Eberle. After great frustrations locating free Wi-Fi hotspots while on vacation on Tybee Island, I returned home to find that no list of hotspots in Watauga County had been gathered nor published. So I set out to correct that problem. If'n you visit the area and your temporary shelter doesn't provide free internet access, check out this list of local free Wi-Fi zones. But please follow proper Wi-Fi etiquette: If you use the service in a retail coffee shop, at least drop a buck or two and purchase a cup of java. Don't be one of those bums who surfs but doesn't sip....go instead to the public library. Remember those winds that I talked about in my previous post? 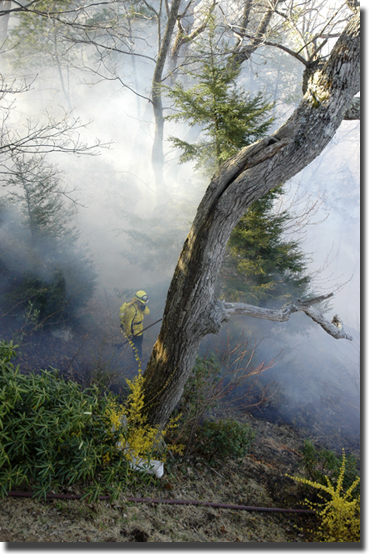 Well, they whipped up a mighty brush fire between the Watauga and Caldwell county line in the southen section of Blowing Rock early this morning so I've not had much time for pleasure photo snapping. As I post this, I still smell of smoke.... just heard several homes are being evacuated so I must leave you but will update you later this evening. 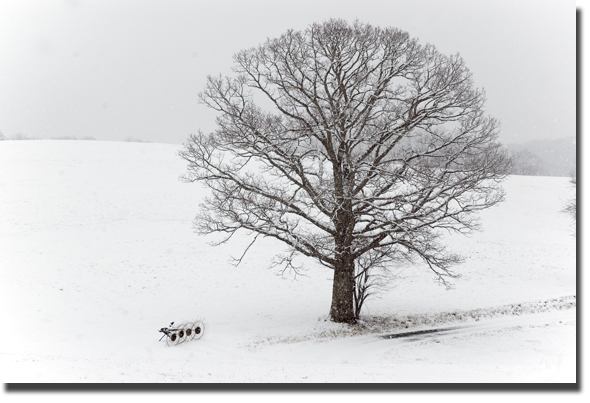 In case you haven't heard...today it is snowing in the mountains of northwest North Carolina. I'm always amazed at the little twist of irony that Mother Nature slings our way sometimes. It is th first day of spring and we get several inches of snow. I stopped on the way to Appalachian Ski Mountain to take this pastoral scene.